UIS Events: UIS Speaker Series presents "Investigating How Cancer Cells Survive: The Key to Blocking Metastasis?" UIS Speaker Series presents "Investigating How Cancer Cells Survive: The Key to Blocking Metastasis?" WHAT: The University of Illinois Springfield Engaged Citizenship Common Experience (ECCE) Speaker Series and the Notre Dame Club of Central Illinois Hesburgh Lecture Series presents “Investigating How Cancer Cells Survive: The Key to Blocking Metastasis?” featuring speaker Zachary Schafer, an associate professor of biological sciences and the Coleman Foundation Collegiate chair of cancer biology at the University of Notre Dame. The event is free and open to the public. WHEN: Monday, October 23, 2017, at 7 p.m. DETAILS: Metastasis, the process by which cancer cells spread from the primary tumor to distant sites in the body, is responsible for in excess of 90% of cancer deaths. This lecture will focus on recent Notre Dame research studying how cancer cells survive during metastasis, and how this information can be used for the development of novel cancer therapeutics. 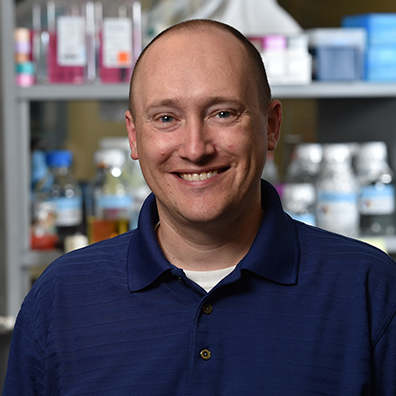 Schafer will present his research on the molecular mechanism utilized by cancer cells to survive during metastasis. Schafer is a Springfield native and a 1997 graduate of Springfield High School. He earned his bachelor’s degree in biological sciences from Notre Dame and completed his Ph.D. in molecular cancer biology at Duke University. He proceeded to complete postdoctoral studies in the Department of Cell Biology at Harvard Medical School. He is the recipient of a V Scholar Award from the V Foundation for Cancer Research, a Research Scholar Award from the American Cancer Society and a Career Catalyst Award from Susan G. Komen. Individuals with disabilities who anticipate the need for accommodations should contact the UIS Speaker Series Office at 217/206-8507 or speakerseries@uis.edu in advance. For a list of other upcoming ECCE Speaker Series events, visit www.uis.edu/speakerseries/.